Once the weather becomes inhospitable, a multitude of exercise options are off the table. And when that weather is accompanied by social gatherings replete with less-than-healthful eating options – plates upon plates of Christmas cookies, we’re looking at you – they can form a fearsome alliance aimed at expanding your waistline. Fortunately, the City of Dublin offers residents a sizable assortment of options for remaining fit, even as the air gets cold and the pastries pile up. Biking and baseball may be out, but there are some perks to chilly weather. When there’s snow on the ground, the City’s sledding hill – located at Scioto Park, and open from 7:30 a.m. to dusk – is open for business. Bathrooms are on-site. There’s also the City’s ice rink at Coffman Park, which opens when temperatures have been below freezing for several consecutive days. It’s open 10 a.m.-8:30 p.m. on weekends and snow days, and 3-8:30 p.m. on school days. The pavilion contains fireplaces for anyone seeking warmth. Residents can check the Parks & Open Space page on the City’s website, www.dublinohiousa.gov, to see whether the rink is open on any given day. Patrons must bring their own skates. Keep an eye on social media for Dublin’s exercise hashtag campaigns: #RunDublin, #WalkDublin and #BikeDublin. #RunDublin is already in progress, while #WalkDublin launches in January and #BikeDublin launches in April. The City’s Parks and Recreation Department works hard to keep residents moving during the colder months. Of course, even if the mercury has dropped, there are plenty of opportunities to use the City’s 60 parks and 100 miles of bike paths. Indoors, though, the Dublin Community Recreation Center has 80-plus group fitness classes. Offerings include spinning, Pilates, Zumba, yoga, step, barbells, kickboxing and high intensity interval training, and that’s not even touching the classes that focus on the mind rather than the body. “Keep your mind active during the winter by participating in a foreign language class, a gardening workshop to prepare for spring, painting with watercolors or a hands-on cooking class,” says Tracey Gee, director of recreation services. Popular adult programs include Ballroom Dancing, in which participants learn the basics of waltz, foxtrot, tango, swing and more; Kinetic Kitchen, a course on eating right taught by the founders of the Dublin-based Kinetic food truck; and Pottery Open Studio, which covers ceramics for new and experienced participants. A variety of children’s programs is also available at the center. Highlights include Little Ninjas, in which preschool-aged children and their parents learn martial arts in a playful environment; and Sporties for Shorties, which teaches basic skills such as rolling, kicking, batting, throwing and catching. The center’s cardio and weight rooms both recently underwent updates and are now full of new equipment. There is also a wealth of classes in the center’s pool. “The DCRC has a great selection of both deep and shallow water fitness classes for all fitness levels, as well as lanes for lap swimming,” Gee says. 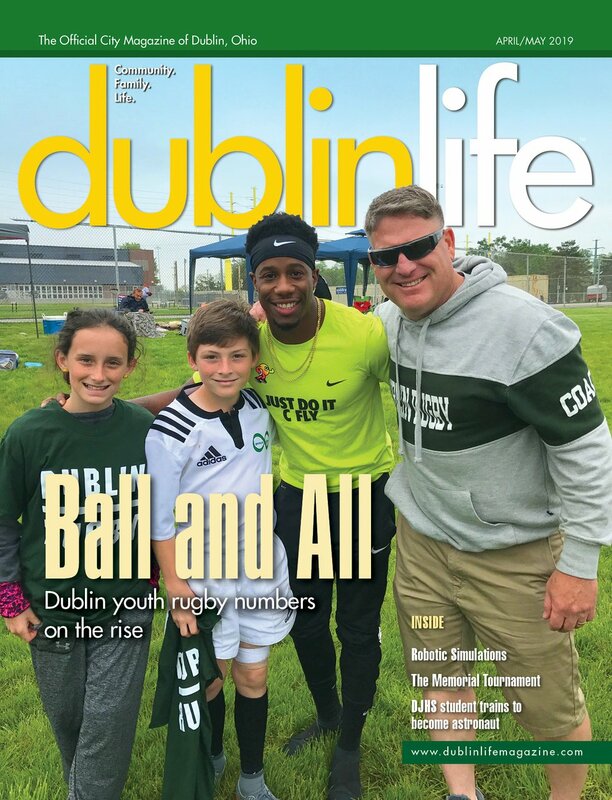 The Winter/Spring edition of Dublin’s Healthy brochure, detailing all of its recreation offerings, will be released Dec. 17 on the Recreation Services portion of the City’s website. Among the new items planned are classes on modern dance, Indian dance and krav maga, as well as an incentive program and late-night hikes. Visit www.dublinlifemagazine.com to learn more about new classes. Several facilities in and around Dublin specialize in athletic recreation and are open year round. The OhioHealth Chiller Dublin offers two NHL-sized indoor ice rinks. They are often used by local hockey leagues, but there are still plenty of opportunities to drop in for a skating session. A public skate schedule is available at www.thechiller.com. Though often done for fun, ice skating is great exercise, especially this time of year, says Jeremy Rogers, assistant general manager. Skating classes are offered, with the next session to begin in early January. The rinks can also be rented for private events such as birthday parties. And on Friday nights, the Chiller hosts its Meltdown teen night events, with a live DJ and disco lights. There’s also Elysium Tennis, which has eight indoor tennis courts and four platform tennis courts in addition to its six outdoor courts. Nonmembers can take private lessons, participate in Saturday morning nonmember clinics and even call ahead to reserve courts. Platform tennis is a unique offering popular in the winter, says Beth Fitzgerald, Elysium manager. It’s played with special paddles rather than rackets on a court one-third the size of a normal court that is surrounded by chicken wire. “We’re … working to grow the sport in the city of Columbus,” says Fitzgerald. -Anytime Fitness, 6505-6515 Perimeter Dr.
-Friendship CrossFit, 6625 Reflections Dr.
-Koko FitClub, 4445 W. Dublin-Granville Rd. -Life Time Fitness, 3825 Hard Rd. -Orangetheory Fitness, 7581 Sawmill Rd. -Perfect Fit Gym, 3868 Hard Rd. -Premier at Sawmill Athletic Club, 3111 Hayden Rd. -Shred Crossfit, 5704 Avery Rd. -Snap Fitness, 5615 Woerner Temple Rd.